President Ilham Aliyev has transformed Azerbaijan into a developed nation, Peter Tase, International Affairs Adviser to the Dean of Chicago - Kent College of Law, Chicago Illinois, told Trend. 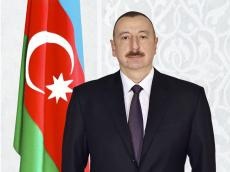 “Under the leadership of President Ilham Aliyev, Azerbaijan has become a strategic partner of the European Union countries in the fields of commerce, economy, oil supply and exports of natural gas conducted through a modern pipeline infrastructure that ensures energy security for many European nations,” he said. “Thanks to President Aliyev's policy, the regions of Shaki and Oghuz are important tourist destinations and Nakhchivan is a region with ancient history and a cradle of patriotism. Azerbaijan is on the right path of prosperity, industrial development, technological innovation and research in engineering,” said the US expert. Speaking about Azerbaijan’s achievements in the field of sports, Tase said that Azerbaijan has received a tremendous international attention for its role in organizing prestigious sports events. “Baku has shown that it is the perfect destination for major international sports and strategic summits that contribute to world peace and effective dialogue. Azerbaijan will continue to impress the world with its achievements and remarkable implementation of strategic projects that have a direct impact on the lives of every Azerbaijani citizen,” he concluded.